As Westport debates what’s needed to make Main Street lively again, we hear one chorus a lot: live music! It’s been only a few years since Bobby Q’s rooftop concerts ended. But before that, there was Mark’s Place. Located on the left side of Main Street — on the 2nd floor of what was, most recently, Acqua and Boca restaurants — Mark’s Place was a late ’60s/early ’70s club/bar/disco. 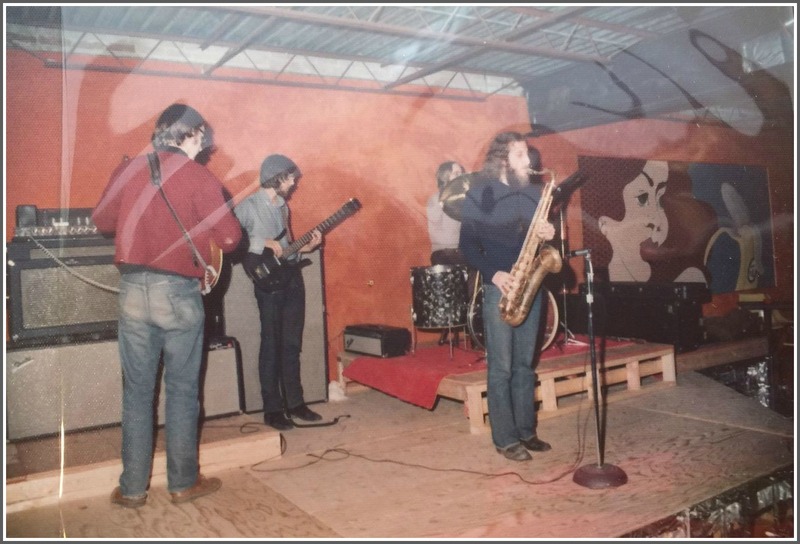 It was not the only venue for live music in Westport — there was the Nines Club at the old skating rink on Post Road East (owned, improbably, by orchestra leader Lester Lanin; Mitch Ryder, the Youngbloods and ? and the Mysterians played there); the Players Tavern, and a spot underneath the Ice Cream Parlor where I saw the Shangri-Las. I’ve tried to find photos, with no success. Recently though, these images of Mark’s Place surfaced on Facebook, thanks to Rufus Eakin. Close your eyes. Remember the scene. Then click “Comments,” to share any groovy memories of Mark’s — and all those other music — places. This entry was posted in Downtown, Entertainment, Friday Flashback and tagged Mark's Place, Nines Club. Bookmark the permalink. Don’t forget about the recently departed 323. Technically on Main Street, but not ‘downtown’. Maybe that’s why it is departed. Guilty of enjoying the disco in the early 70’s, frequented with mike Napa of Napa glass on Main Street! Before it was finished, Mark let us in off the street when we were just kids to take a look. Shag carpet on the floors walls and some ceilings – very groovy. Shangri-Las at The Rage? What about Grassroots next the bridge? Yep. That was a great coffeehouse. Ah, the pitchers of Sangria! We made a point of dropping all other plans and go to Grassroots every time Rob Carlson was scheduled to play. In the late seventies or eighties, Boca/Aqua was Rosebud(s). It was not Mark’s place. Mark’s was south of the tunnel. Rosebud may have been the first restaurant/club there. The Playhouse Pub occasionally (at least 1977-78) had small jazz combo playing. Mark’s Place was Mark Kaufman who later had the Ship’s. There was a wonderful coffee house up in Shelton called The Huntington Street Cafe. 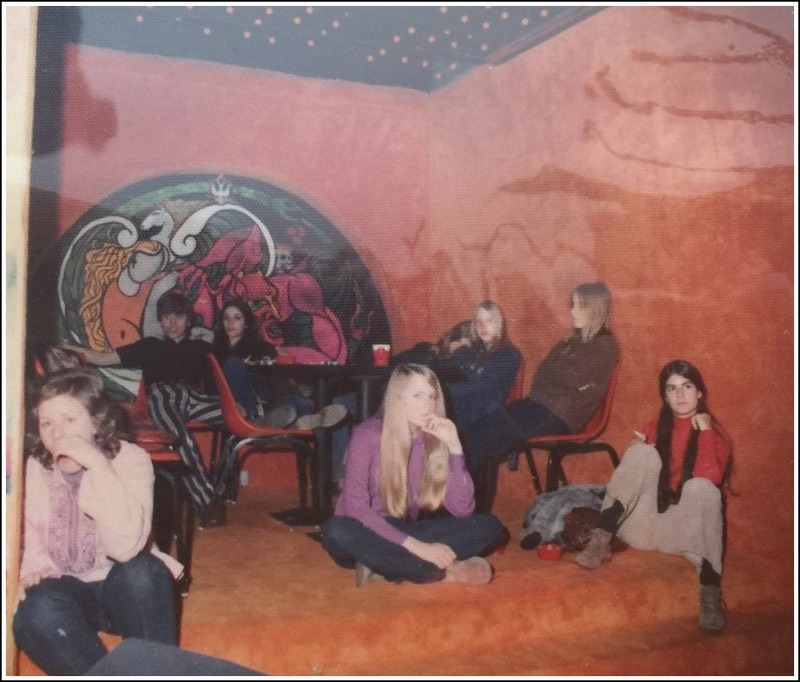 We tried to institute music at Doc’s Cafe in Saugatuck before the Saugatuck Transformation. Coming soon will be Chef’s Table with live music. I wish there was a coffee house in downtown Westport with live music every night. My band Repairs played every Sunday night in Mark’s Place for over a year. We often shared the sage with Roger Kauffman and Hank Anderson, both wonderful musicians… and Roger is still at it today. But before that we played at La Crepe for a year or so. La Crepe was in the building which is now William Pitt Sotheby’s International Realty. La Crepe was run by Barry Turpin and Victor Stein and was a genuine hot spot at the time. These are fun memories for me during my stint as a musician before becoming a Wesport teacher. Repairs was a great band! One of our local best, along with the Loved Ones, Straberry Fun Band and Goodhill. You can hear Repairs here at Trod Nossel in 1972 https://www.youtube.com/watch?time_continue=7&v=K6SL2Av-wxI including Suite Judy Blue Eyes and their killer song Celebration. We recorded there too, and played with Repairs at Jesup Green. Our band was Mad Lights. We also played at Mark’s and a la Tom Sawyer Mark got us to build much of Mark’s Place. Still laugh about that. March 18, 1967, The Left Banke and Question Mark and the Mysterians played at the Lester Lanin Ice Rink. My first date with Karen Appy. 52 years later we’re still dancing. Good times. Reno, great story! Did the band at your wedding play “96 Tears” as one of the first songs? Just kidding. But, believe it or not, I still have that 45. We had live Jazz every night at Dameons on Railroad Ave in the seventies into the eighties. John Mohegan on Piano with Jimmy Simpkins on guitar were pretty great. Gay Mohegan played piano on Sunday nights and the Jazz Doctors on Wednesdays. live music is alive and well in Westport and Fairfield County. Spotted Horse, Black Duck, 190 Main, Rizzutos , Pearl , Little Barn have regular live music. I counted 35 venues (I know there are many more) between Black Rock and Greenwich tonight. Tonight Rizzutos has The 5 O’clocks with Paula Gallo, John Lamb and the legendary Billy Foster, Black Duck -low Maintenance, and the Horse has The Federation. I’m not sure about the others so suggest you check with venue. Go out have fun. Its all here if you look for it. Hello Dan! It’s been awhile! Interesting subject. If my memory serves me correctly, I’d say that I had the opportunity and pleasure to see Diane Scanlon perform at the Players Tavern. And, if my memory serves me right, B.B. King? Oh my! Now I am thinking about a place called Bunyon’s? Although, I thought his place was on Main St., near where Onion Alley was located. Wherever it was, I enjoyed singing along to his piano accompaniment in the early ’80s. Patricia Blaufuss thanks for also remembering TJ Moran’s! Yes it was originally on Main Street kinda up the street from Klein’s. TJ himself was a legendary lounge-lizard entertainer and there were about 8 seats right at the grand piano, near the front door. Of course cigs and highballs just heightened the atmosphere. TJ would let the regulars sing a song while he played and they always sang their same tune (one guy who looked just like Kenny Rogers would croon “Send In the Clowns” until they all cried into their drinks.). When TJ’s became really popular, he made the error of moving to the former La Bibliotheque restaurant on Elm Street, and lost the dark allure of the Main Street spot. Great jazz at Longshore, bar bands at Pumpernickel Pub and Irish/folk music at Tin Whistle Cafe. Seems like all these places close down when the drinking age was raised to 21 in the 80s. Do you remember a group called The Jazz Doctors? They must have played in the 80’s because I moved here in 1983. The pianist was Irwin Lebish, a veterinarian Not to be confused with DNR. And Irwin’s son Scott is a drummer. Thanks for including your memories of the jazz at Dameon’s Bobby Herman and of course, the amazing Jazz pianist Linda Pomerantz Novis! We’ll never forget Irwin Lebish telling Joe he got quite a bargain with the new cat he just adopted… she gifted us with 4 kittens not long after that visit! You were gifted back then Linda and both Joe and I would love to hear you play again. I found some of John’s recordings online and have a few of his CDs but I really miss your Jazz Linda! Longshore had acts as well. I remember strolling in 30-years ago, there was a jazz combo playing. Out of no where comes George Benson who grabs a guitar and does Breezin’ for 10:00…..we stood there in a very small venue in awe. Those were the days! I have a split childhood personality! I love these stories of old Westport and the days of the 60’s and 70’s — I wish I had crossed over more after we moved away from Westport. We moved to Bryn Mawr, PA area as a young teen and l lived out the rest of my youth after Westport there and we had the Main Point, a suburban coffee house in the middle of Bryn Mawr. It was host to the likes of James Taylor, Livingston Taylor, Bonnie Raitt, Little Feat, Bruce Springsteen and many more we saw in those days in the intimate venue of a coffee house. It would be unheard of these days.